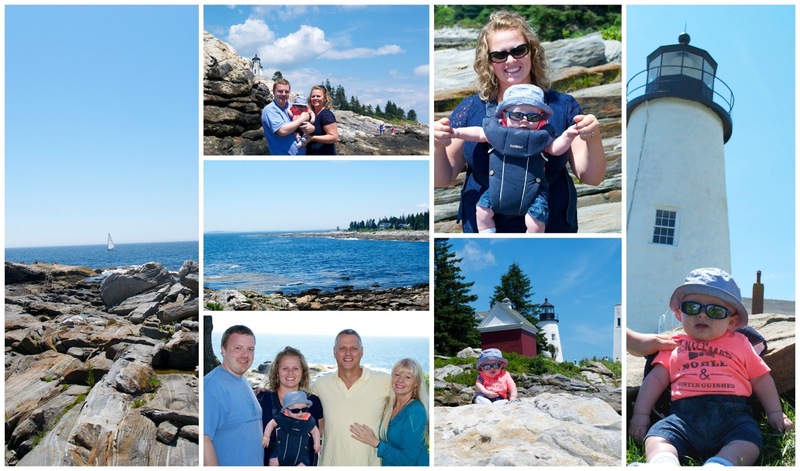 We hit our most northern part of our trip on Thursday when we made it up to Maine and my parents' house. 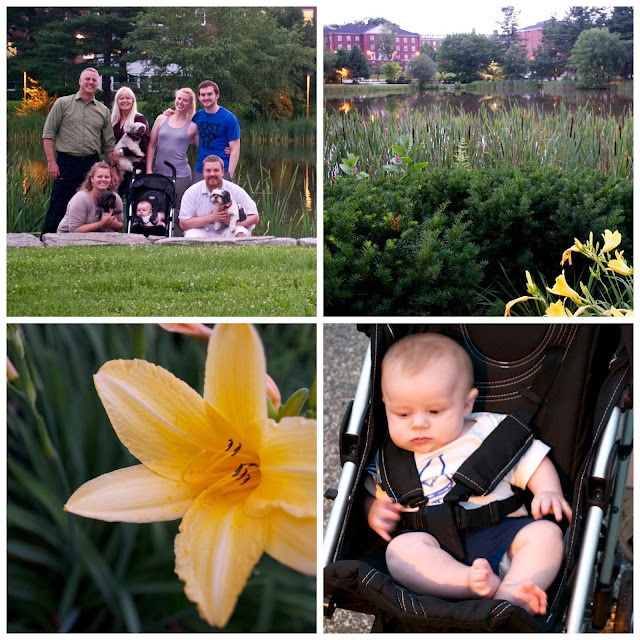 We took a nice walk around Bates and showed Will around our old stomping grounds. Even though he was less than super excited, we really enjoyed walking around campus and the dogs, as they usually do, loved running around chasing each other. Will and the dogs hung out with my parents on Friday and Saturday while we went to NH and on Saturday, Will got to meet my dad's side of the family at my uncle's birthday party. We got a lot of really cute pics of Will and his pretty sweet shades. Some of my favorites are ones where we were able to hide behind a rock while holding on to him so it looks like he's sitting by himself. We had lunch right on the water and I got my fill of lobster and amazing ice cream which, in my opinion, is a must when you're in Maine during the summer. The rest of Sunday was spent relaxing and doing laundry. Since we were doing this trip in a small car, we only packed enough clothes for about a third of our trip and did laundry twice. The first leg of the trip I planned and packed each day into mesh bags so I didn't even have to think about outfits. I also packed like items into smaller bags (Will's toys, pumping stuff, electronics, etc) so that we didn't have one huge suitcase with a mess of random stuff. It also made getting in and out of hotels easier since we didn't have to lug a huge suitcase with us everywhere. while Nate and I traded off driving through the night and all of Tuesday. 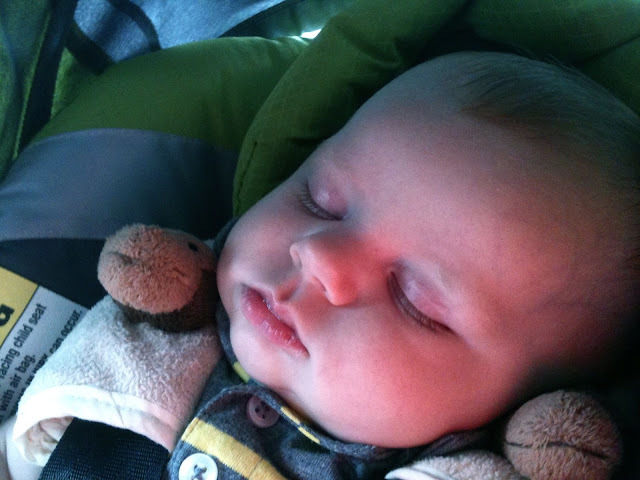 We ended up getting home around 9 pm on Tuesday and Will was a good baby and slept really well Tuesday night (he kept a perfect nap schedule on the way home so we don't think he really noticed anything different) so we were able to crash. It was a long and fairly exhausting (I'm still recovering) trip but it was totally worth it. We'll be back tomorrow with some stats from the trip... some of which were pretty surprising!